Benue State government seems to have a lot on its table. On one side is flood that has ravaged 12 local governments areas in the state and on another is a labour issue to tackle. The Nigeria Labour Congress (NLC) and the Trade Union Congress (TUC) in Benue have rejected Governor Samuel Ortom’s appeal against a one-week warning strike proposed to start on September 5. The warning strike is the first step by the workers who have declared a labour dispute with the state government over the non-payment of salaries. 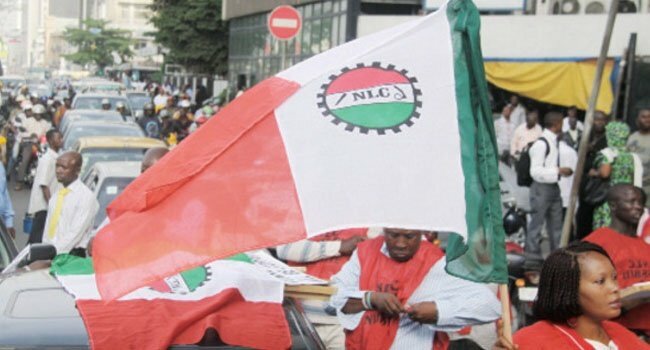 A statement by the labour unions and signed by the NLC Chairman, Mr Godwin Anya and his TUC counterpart, Mr Ordue Tartenger, declared that the governor’s appeal was “unacceptable”. “He appealed for understanding without any offer; other allocations from the federal government and other revenue sources are still available to government. “Supplementary support keeps coming from the Federal Government under various subheads – bailout, stabilization, Paris Club refunds, among others,” the workers said. The unions then declared Tuesday, September 5 – Wednesday, September 13 for the strike, and advised the government to implement the state of emergency it declared on payment of salaries, gratuities and pensions. After the declaration, a spokesman for Governor Ortom, Mr Tahav Agerzua, said that the governor “placed all the cards on the table before the labour leaders”. He inisted that the strike is not the solution. “It would not bring the money needed to pay the salaries and arrears being demanded,” he told the News Agency of Nigeria on Friday. Benue workers are owed 8 months salaries, with Ortom saying that 40 billion Naira is required to settle them. The decision of the labour unions is coming on a day that President Muhammadu Buhari directed the National Emergency Management Agency to immediately mobilise personnel and resources to come to the aid of the victims of the floods.